Do you use Pinterest promoted pins? Want to discover how they work? To explore everything you need to know about promoted pins on Pinterest, I interview Vincent Ng. Vincent explores Pinterest promoted pins. You’ll discover what’s new with promoted pins. Listen as Vincent Ng shares what marketers need to know about promoted pins and how to advertise on Pinterest. 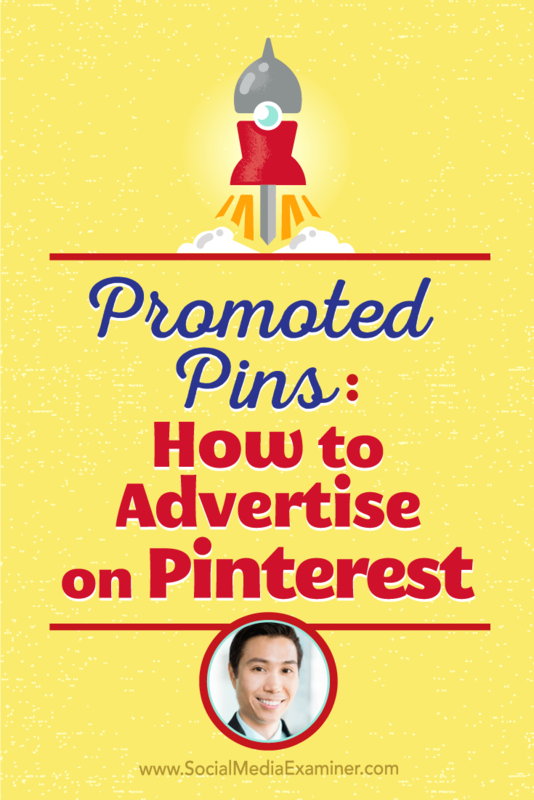 At a basic level, Vincent says, promoted pins are Pinterest advertising. 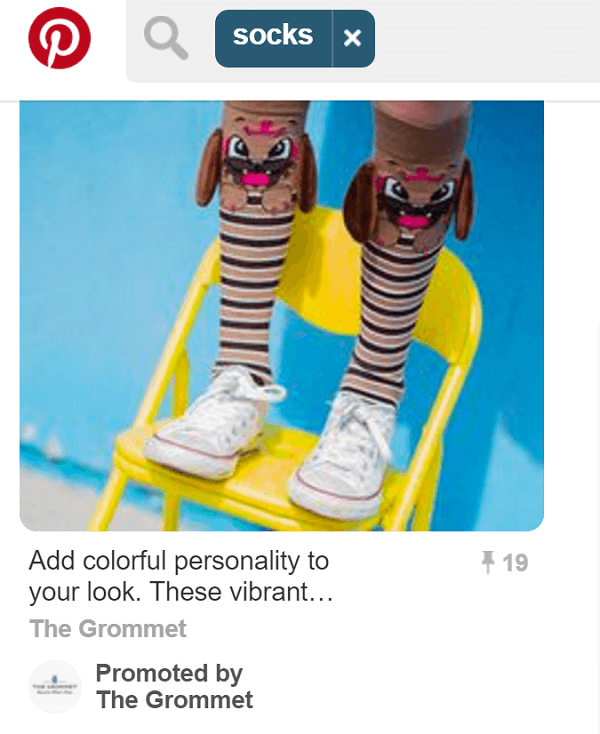 As you scroll through your Pinterest feed and see “Promoted by” on a pin, that means it’s advertising. He notes that any pin you want to promote must be a public pin, and says you can even promote something you’ve repinned! What’s New With Promoted Pins? Pinterest recently announced promoted video pins, which, at the moment, are specifically for users on mobile. These pins show an animated GIF and lead you to a full video when you click on them. What’s really cool, Vincent shares, is that you can put up to six additional pins below the video on your promoted pin for no extra cost. The six additional pins display like a carousel under the video, and you can use them to promote the product in the video or share additional information about it. While video pins currently send users to third-party players like YouTube to view the video promoted in the pin, Pinterest is working on its own native video player, which will be rolled out to everybody soon. Once available, people will be able to upload videos directly to Pinterest. Listen to the show to hear what video lengths Vincent has seen on Pinterest. 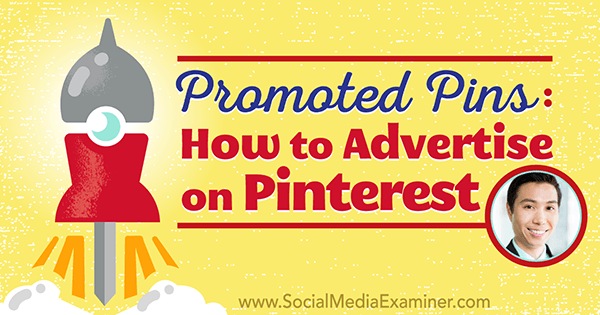 What Can You Do With Promoted Pins? Vincent says you can reach a large audience with promoted pins, and that Pinterest allows you to create ad campaigns based on three main business goals: awareness, engagement, and traffic. Brand awareness campaigns let you promote your pin to an audience and you pay based on a thousand impressions. With engagement campaigns, you’re charged every time someone taps and enlarges your pin, repins your pin, saves your pin, or clicks your pin. During traffic campaigns, you pay for every click-through on your pin. 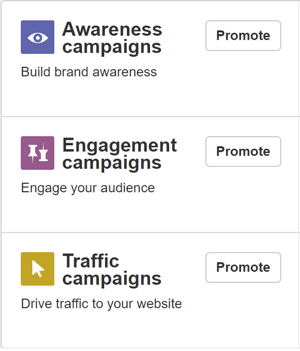 There are three types of promoted pin campaigns. Vincent says the great thing about promoted pins is that you pay only for the direct promotion, meaning that if a user clicks on someone’s share of your promoted pin, that click is free for you. In fact, Pinterest says users get an average of 30% free engagement when they conduct promoted pin campaigns. Which type of campaign is the most cost-effective? Vincent says that he agrees with Pinterest peers Alisa Meredith and Jeff Sieh, who both find the cost-per-click campaigns offer the best bang for your buck versus engagement campaigns. Why? About 80% of Pinterest users access the app on mobile, so they’ll enlarge your pin to get a better look at your product. If it’s not what they want, they don’t necessarily click through. Export your Pinterest campaign data to analyze it and figure out what works best. Pinterest also offers promoted pin users robust targeting capabilities, Vincent says, including by keywords and interests. Pinterest users are asked to follow five interests when they sign up, and there are also sub-branches of interests for them to follow. For example, someone may follow Travel, as well as the subtopics of Culture Travel and Romance Travel. Target people who follow specific topics or subtopics. It’s also possible to target by audience, which Vincent says is relatively new and really exciting. For example, you can upload an email list and Pinterest will find a similar audience, or use a conversion pixel to target people who have visited your website, people who have engaged with pins related to your domain, and more. Listen to the show to hear more about where promoted pins are available, and Pinterest’s approach to act-alike audiences. What Does a Promoted Pin Campaign Cost? Vincent says when you do a cost-per-click campaign or engagement campaign, Pinterest will give you a cost estimate based on the keywords and interests you target. You should expect to pay a minimum of $1 per click. If you go with a brand awareness campaign, the minimum spend is $5. Based on the campaigns he’s worked on, Vincent says you’re looking at spending anywhere between just under $1 to $3 per click. From a user’s perspective, how frequently do promoted pins show up in his or her feed? Vincent says on average, once every 20 pins in the home feed. Promoted pins blend in with the rest of the pins in a search. He explains that organic pins are usually blended with promoted pins but he notes that if an advertiser pays a pretty high bid for a term like “socks,” their pin will likely show in the number 2 pin position. Vincent believes Pinterest wants to make sure everything looks as natural as possible, so they don’t want ads to stand out. In fact, you may not even notice something’s an ad until you read that it’s a “Promoted” pin. You need to look closely to see if a pin is promoted. Vincent also notes that while buyable pins, which allow people to buy a product within the Pinterest system without having to go to the merchant’s website, were once excluded from being promoted, Alisa Meredith says that’s no longer the case. Listen to the show to hear how Vincent suggests marketers approach targeting by keywords. Vincent says the first thing to do is test every pin organically. Then you can promote the pins that have rock-solid engagement, because you already have positive feedback on them. Vincent says his best piece of advice (which is not necessarily related to promoted pins) is to type in the URL of something like www.pinterest.com/topics/ and then a keyword you’re trying to research. 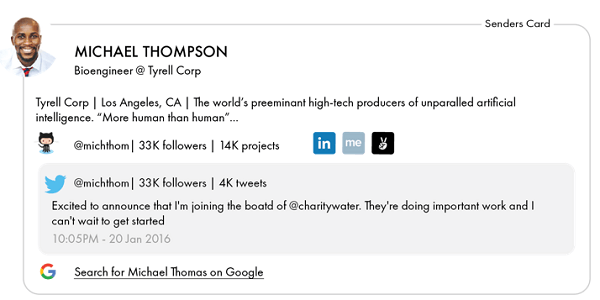 This will let you see how many people are following a specific interest or topic. For example, Travel has 40 million people following it, so you know it’s a hot topic. Social Media has a lot fewer followers, so you might think it’s a niche market. You just need to decide whether the audience is big enough to advertise to. See how many people follow an interest before you decide to target it. When it comes to Pinterest Analytics, Vincent says there are a lot of options to monitor. You can find out how many people are clicking on your pins, how many people are doing closeups, and how many repins or saves your pins generate. You can also see whether more males or females are clicking on a pin, or which geographic locations give you a better conversion rate. Listen to the show to learn more about split tests, and which types of campaigns appear to do better than others. This week’s Discovery comes from Madalyn Sklar. It’s called Senders, and it’s like having caller ID for email. Senders pulls information based on a sender’s email account, and lets you know all about him or her. Senders works for most email accounts. All you need to do is give Senders permission to see your account, and they don’t store, share, or read any of the content of the emails. Senders simply scans and searches the web for people’s contact info. For now, Senders is in beta and is free. Listen to the show to learn more and let us know how Senders works for you. Learn more about Vincent on his website. Take a look at The Secret Life of Pets and the movie’s video promoted pin. Learn more about Pinterest’s upcoming native video player and watch a sample video. Check out promoted pins and the bonus engagement you get. Learn more about Alisa Meredith and Jeff Sieh. Explore the Pinterest mobile stats. Learn about Pinterest’s targeting capabilities, such as audience targeting. Take a look at Pinterest monthly search data. Consider buyable pins and learn more about them. Explore Pinterest topics like Travel and Social Media. What do you think? What are your thoughts on Pinterest advertising? Please leave your comments below. 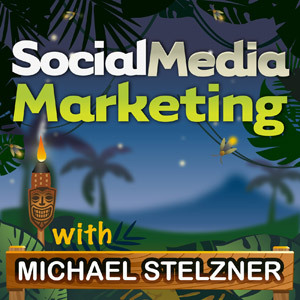 Vincent Ng talks with Michael Stelzner about how to advertise on Pinterest with promoted pins.